Online and Mobile Wallets are everywhere now – They are revolutionizing how we make online and mobile payments, be it for ecommerce purchases or for travel bookings or for movie ticket purchases. The users find wallet payments much more easier and due to various deals and offers they give to customers, they become lucrative as well! Mobikwik, one of the leading mobile wallets in India today announced slew of travel related partnerships – they have partnered with 4 leading Indian travel portals that include MakeMyTrip, Cleartrip, Yatra and Goibibo. Interestingly, this announcement by Mobikwik comes close to heels of Paytm announcing similar partnership with IRCTC last week. So going forward, customers making travel purchases on these 4 portals can make payments for flight / cab /bus/ train and hotel bookings with their MobiKwik wallet, rather than using their credit / debit / online bank accounts. According to the company, they expect to facilitate travel and hotel bookings worth Rs. 200 Crores, over the next 12 months. Mobikwik claims that they currently have 17 million wallet users, however, they have not mentioned how many of them are active users. Generally, users create their accounts with mobile wallets, but many of them remain inactive for long periods of time. However, with these partnerships in place, Mobikwik is sure to get a bump in the number of users as well! Both, mobile wallets as well online travel and hotel booking are fast growing segments in India. The travel Industry in India is currently pegged at USD 8.2 billion and is growing at a healthy 20 percent year on year according to IAMAI’s Digital commerce report 2014. M-Commerce is catching up faster than any other vertical. Every ecommerce site in India is currently experiencing higher purchases through mobile compared to Desktop PCs. Infact, the shift has been so much that some ecommerce sites like Myntra have decided to have mobile only presence. In travel space, almost all the portals are now getting nearly 50 percent of their bookings from mobile device, and this is only expected to grow over next few years. So, this partnership augurs well for Mobikwik as well as travel portals! MobiKwik recently raised close to $25 million in a Series B round from Tree Line Asia, Cisco Investments, American Express and their existing investor, Sequoia Capital. The company plans to raise another $100 million in the latter half of 2015. The company plans to create an offline retail network of more than 100,000 merchants across India that will serve both as points for cash loading into the wallet and for wallet payments acceptance. 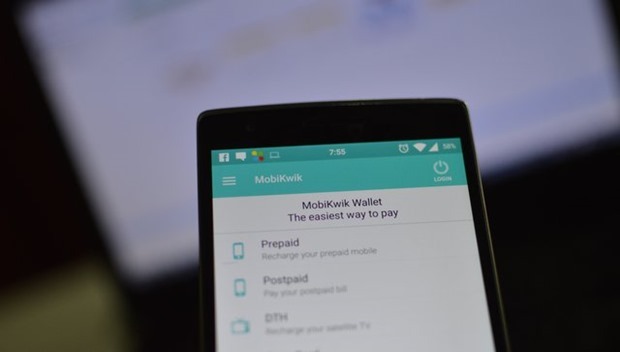 MobiKwik has also applied for a Payments Bank license in February 2015. "Mobikwik Partners With MakeMyTrip, Cleartrip, Yatra.com and Goibibo For Travel Payments! ", 5 out of 5 based on 1 ratings. Thank you! This works great with Goibibo and Yatra.com. How it works for MakeMyTrip and Cleartrip? Can you please let me know?